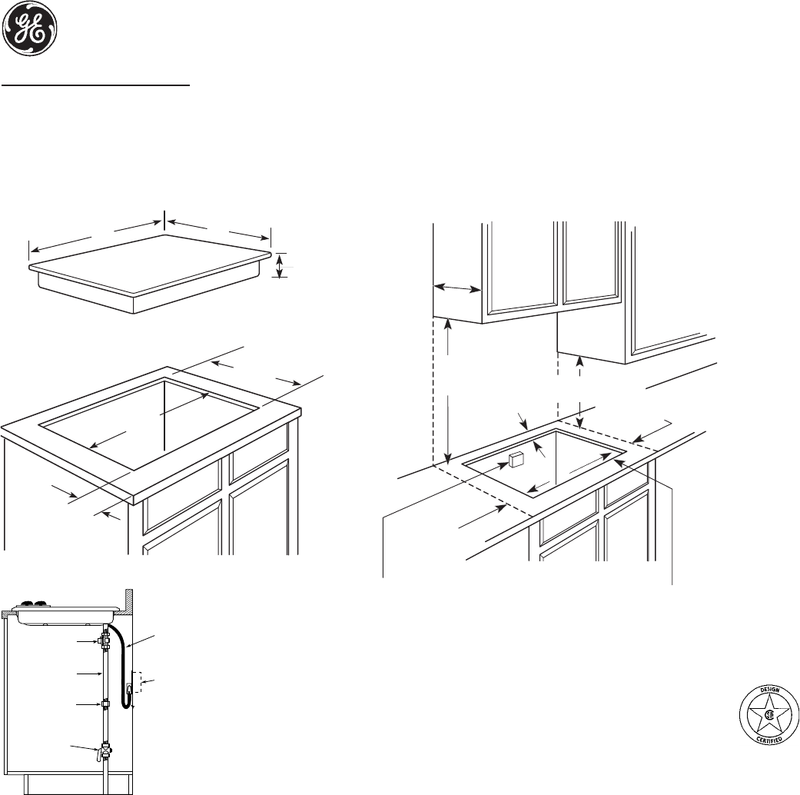 AGA Requirement: All gas cooktop models required 7/16"
free area below cooktop height to combustible material. countertop to adjacent overhead cabinets. 30" Gas Cooktops are approved for use over select GE 27"
to hold a round bottom wok.